Local businesses have so many things to stay on top of that marketing often becomes a second, even third, priority. Marketing activities get pared down to their barest essentials – to only a few tasks per week. Every one of those tasks has to deliver results. Small business owners don’t have time to fuss around with things that don’t work. Fortunately, if you’re reading this blog you’ve already found one of the most effective marketing tools: email marketing. If you haven’t heard the statistics already, email marketing is one of the most effective marketing tactics ever created. It trumps social media and print ads, and even direct mail. The Direct Marketing Association’s “National Client Email Survey 2015” reports that email marketing campaigns generate a 3800% ROI. Not to mention that the average click-through rate for emails is several times higher than for the other marketing channels. Email is also extremely affordable. The cost of an entire year for a GetResponse account with up to 2,500 subscribers is about the same as one quarter-page print ad. Even though email marketing has all those things going for it, many small business owners still hesitate to use it. Sometimes it’s because they’re not quite sure how to do email marketing properly. Or they’re worried email marketing might take too much time, or that their emails might annoy people. None of that has to be true. If you’re on the fence about committing to email marketing in 2015, here are 20 tips to help you. Whether you’re getting started with email marketing or just want to refine what you’re doing already, these tips will help. 1) Ask people to sign up for your email list at the cash register. Either have your staff ask people to sign up for your list, or put up a small sign and give people a way to sign up. The checkout area is a natural place for people to sign up. It seems less invasive than asking people anywhere else in the store. Asking for signups at checkout also means you’ll be pitching the people you most want to have on your list: The people who buy things. 2) Use a tablet app for signups, not printed form. 10-20% of the email addresses written on printed forms are illegible. That means you’re losing 10-20% of new subscribers simply because of bad handwriting. Cut out this problem by asking people to sign up with an app or a landing page opened up in your tablet’s browser window. 3) Give people an incentive to sign up for your list. It can be hard to get people to sign up for your email list, even if you’re creating great emails. Many people feel they get too many emails already. So sweeten the deal and offer an incentive for people to sign up for your list. This kind of incentive is sometimes called a “lead magnet”. Typically, lead magnets are a free report, but as a local business you may be able to skip the free report. Just offer a coupon or some other discount to entice people to come back to your store. Here are more ideas for lead magnets you could use. 4) Minimize fields in your opt-in form. Make it as easy as possible for people to sign up for your list. Part of this means making it easy for people to fill in their information. For example, don’t ask for a first name unless you absolutely intend to use it. Every field you add to your opt-in form will reduce your signups by 15-20%. 5) Add signup forms to strategic places on your website. The home page, in a feature box. Near the top of the right navigation column. 6) Set up a pop-up or lightbox. This is an opt-in form that appears as an overlay on your webpages. It’s a free feature of your GetResponse account that can be set up in a matter of minutes. A pop-up (or a lightbox) can double or triple email opt-in rates. It’s one of the best tools to use to build a list fast. If you’re worried about annoying your website visitors, just set your pop-up to show no more than once a week. Also set it to show only after people have been on your site for 45-60 seconds. 7) Add an email opt-in form to your Facebook page. Caption: This Facebook page opt-in tab gives people a way to sign up for the retailer’s email list from their Facebook page and offers a 20% off coupon as an incentive for signing up. Unfortunately, the form asks for way too much information. 8) Consider segmenting your list. Segmenting works best if you serve two or more distinct groups of clients or customers. For example, a human resources firm might segment by employers versus candidates. A real estate broker might segment by buyers versus sellers. Segmenting your list will let you send more customized emails to your subscribers. This reduces opt-out rates and increases clicks and conversions. If you choose to segment, keep it as simple as possible. Managing any more than three or four segments can become a headache. 9) Send an email announcement at least once a month. You don’t have to send an email every week, but try to get one out at least once a month. Otherwise your subscribers may not recognize your emails in their inbox. Some local businesses get by with just one new blog post and one email message a month. Their monthly email features the month’s new blog post, announces one or two upcoming events, and might feature an employee or one product or service. And that’s it. Your emails don’t need to be jam-packed. 10) Add social sharing icons to the footer of your email messages. This takes just a few clicks to set up in your GetResponse account, and can increase social shares dramatically. Our own research from last year showed that email messages with social sharing icons get 158% more clicks. Save yourself some time and just add your social sharing icons to your email template. You are using an email template to save time creating your emails, right? 11) Make sure your messages look good on mobile devices. Why is this so important? Because about half of all emails are now read on mobile devices. If you use one of GetResponse’s pre-designed templates, you’ll have this tip covered. All our email templates are tested on every mobile device. 12) Send a survey once or twice a year. Great email newsletters give subscribers information they want. 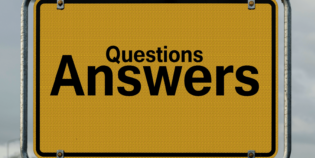 So reach out and ask your subscribers what they want to read about. Every GetResponse account has the ability to send surveys. You can even write up a blog post about the results of your survey, or use the survey to ask people about a controversial issue. 13) Announce your email newsletters on social media (and invite people to sign up). Bring your email marketing and your social media marketing together: Announce upcoming email messages on social media. 14) Check your email reports. See which subject lines do best, and which parts of your emails get the most clicks. 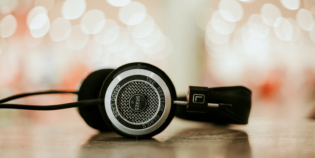 There’s a treasure trove of information about what your subscribers like and don’t like in your email analytics reports. This gives you valuable information about what your future emails should be about. 15) Give your subscribers news first. Want to give your email subscribers a perk? Tell them when your next flash sale will be… before anyone else knows. Got a special coupon? Offer it to subscribers only. To earn the right to be in someone’s inbox (and to stay there) you have to deliver valuable content. You have to make it worthwhile for people to get your emails. So give your subscribers something extra every so often – something non-subscribers don’t get. 16) Keep your newsletters simple. You don’t need to cram every piece of news about your business into your emails. If you’ve got that much that people NEED to know, consider sending your emails more often. Another part of this simplicity tip is to keep your emails visually simple. A few ways to do that are to use only one or two fonts, to use a simple and consistent color scheme, and to keep image sizes as small as possible. Basically, make your emails scannable. 17) Split test subject lines. This is a built-in feature for every GetResponse account. It’s really easy to use, and can help you get much better results from your emails. If you haven’t ever tried split-testing a subject line, see the instructions for how to do it here. 18) Always send a test email to yourself before you send the email out. This one tip can save you from all sorts of embarrassing mistakes. After you’ve sent your test email, take a look at it on a smart phone or tablet. Click a few of the links. Try forwarding it to another email account. Show it to someone else and see if they notice anything odd. As the saying goes, “an ounce of prevention is worth a pound of cure”. 19) Send a welcome email, or a series of welcome emails. Welcome emails get opened and clicked on more than any other promotional email you’ll send. Unfortunately, very few local businesses send a welcome email after someone has signed up. Don’t let this be you. It’s easy to set up an automated welcome email that will go out immediately after someone has signed up. Use that opportunity to tell your new subscriber a bit about your business and about what you can do for them. That might mean services you offer, or answers to frequently asked questions, or just a few entertaining bits of information. Double opt-in is when you send a confirmation email after someone has signed up for your list. Your prospective subscriber has to click a link in that confirmation email before they are actually subscribed. Double opt-in does cut down how many new subscribers you’ll get by about 15 percent. But it also means you’ll have fewer spam complaints, better open rates, higher click-through rates, and you’ll keep subscribers longer. For the long-term quality of your list, double opt-in is far and away the best choice. Use it. 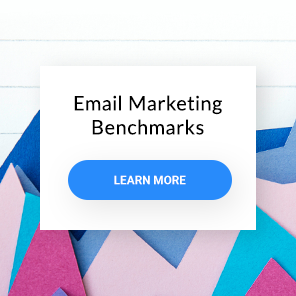 And if you want data to prove my point, check out the Email Marketing Benchmarks report and compare how different industries perform and how many of them use double opt-in. What are your best tips for email marketing? What’s worked best for you? Let us know in the comments.